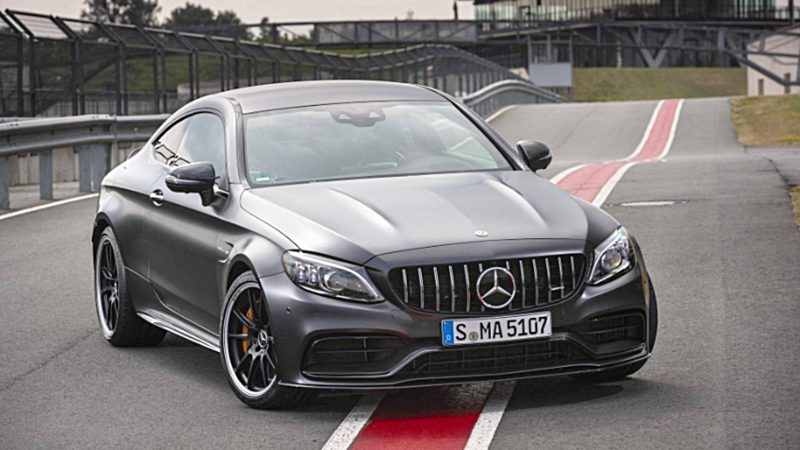 Slideshow: The 2019 Mercedes-AMG C63 S will prove to be a race-track marvel that offers the luxury of a sophisticated highway cruiser. New to the 2019 Mercedes-AMG C63 is a variety of tech features and a few subtle exterior upgrades. On the outside, there are restyled taillamps, a bolder and conspicuous diffuser that sits below the bumper, updated lower intakes at the front, and Mercedes' distinguishing Panamericana grille. A faster and more responsive 9-speed transmission comes in place of the previous 7-speed. Also, a new and agile Track Pace option allows drivers to see speed recommendations, their best times, looming corners, braking points, and several preloaded racetrack maps on the main screen. Standard to the C63 S variant is a new Slippery mode that's optimized for rain and snow. The optional Performance seats now feature a ventilation function. Photos courtesy of The Drive. The new C63 packs the same twin-turbo 4-liter V-8 engine as before. It churns 469 horsepower and 479 pound-feet of torque. In the S variant, power output increases to 503 horsepower and 516 pound-feet of torque. The power is channeled to the rear wheels through the new 9-speed Speedshift MCT 9G transmission. The extra gears play their part to improve efficiency. Mercedes-Benz is widely recognized for its luxurious touch. 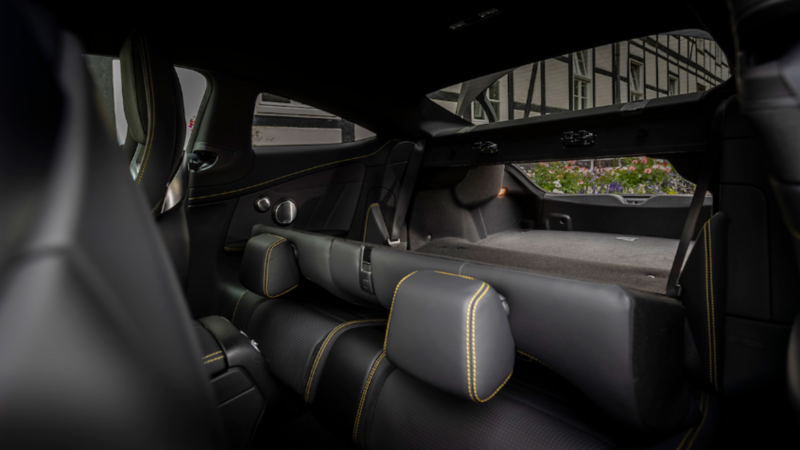 In the 2019 AMG C63 S, a black microfiber/pleather upholstery comes as standard. It's blended with an aluminum trim and a piano-black finish. All-black Nappa leather is available as an option with a combination of different colors. Interior trim options include aluminum and carbon fiber, matte-silver fiberglass or a mix of black open-pore ash wood and aluminum door trimmings. 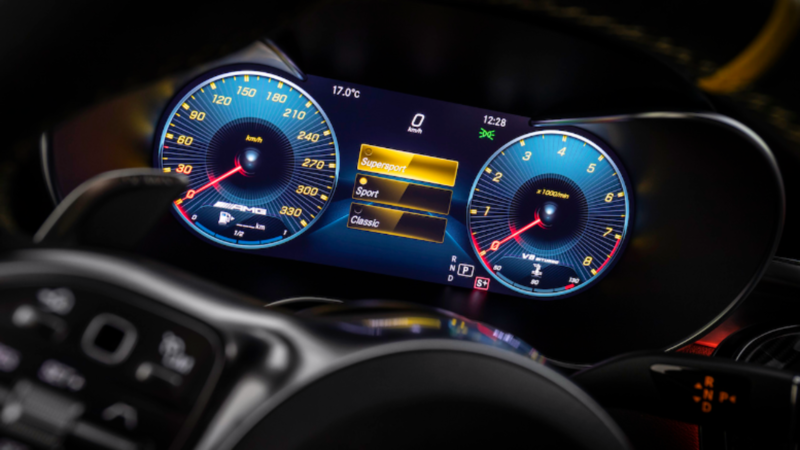 A configurable 12.3-inch display screen comes surrounded by various knobs, dials, and toggles that are sufficiently within reach, as with the previous model. For a car that's supposed to luxuriously cruise along the highway and flex its muscles at the same time, the 2019 Mercedes AMG C63 S over-delivers. 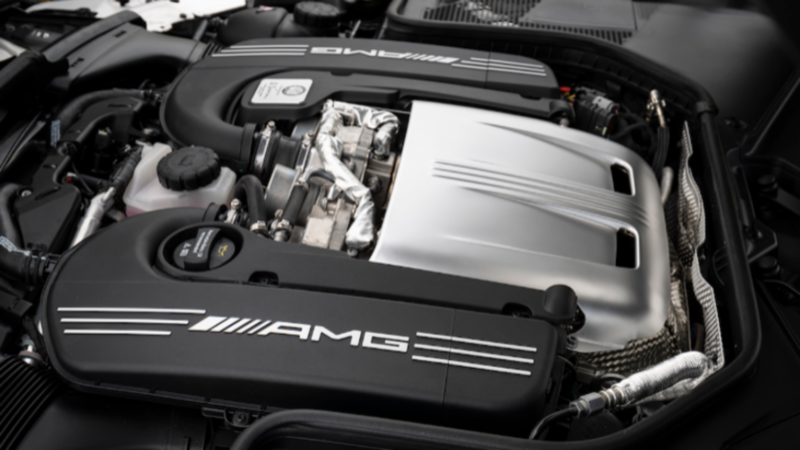 The new AMG Dynamics system uses speed, steering and oscillation sensors to foretell what the car will do next. This improves stability and works the torque vectoring capability to assist driving and maneuvering. There are 6 modes available: Individual, Race, Comfort, Slippery, Sport and Sport+. 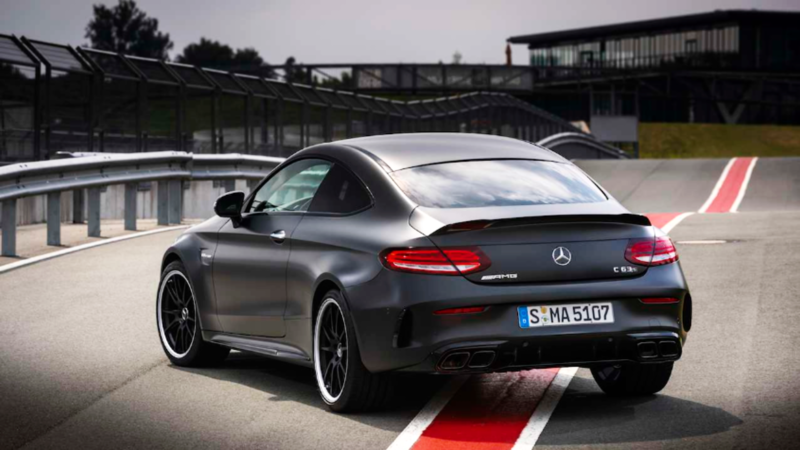 AMG Dynamics makes the C63 S perky in Sport and Sport +, stable in Comfort and Slippery modes, and agile in Race. 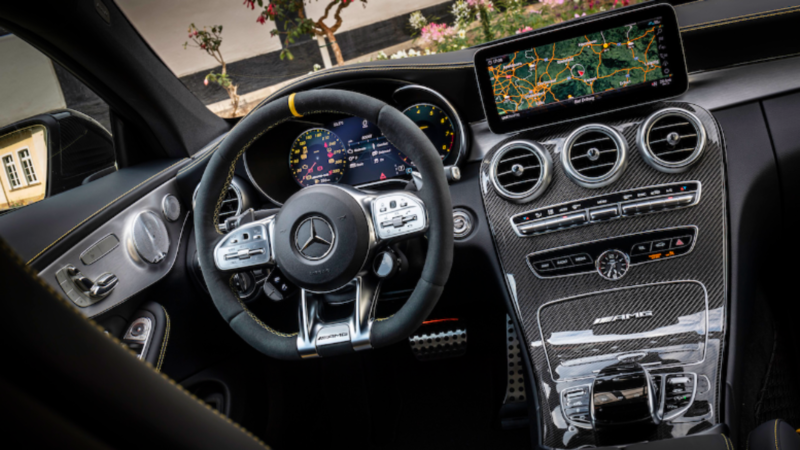 With the 2019 C63 S, drivers can now play around with a variety of new toggles, knobs, and buttons to alter the car's dynamics including steering weight, accelerator response, exhaust sound, and adaptive damper characteristics. The programmable toggles are found on the lower-left of the steering wheel and according to Mercedes, they were added to make selection easier during spirited driving. The starting point will be at around $67,000 for the base C63 model. The C63 coupe and convertible are going to be priced at approximately $68,750 and $76,000 respectively. And of course, the top of the line C63 S should have a starting MSRP of $73,000 for the sedan and $75,000 for the coupe. For now, we eagerly await the arrival of the newly updated AMG beast as the C63 hits dealerships across the U.S. in early 2019.